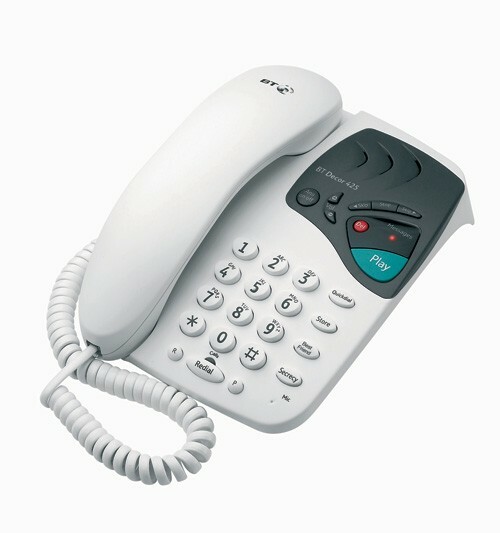 The BT Decor 425 is an attractive corded telephone and answering machine. With up to 12 minutes recording time, two pre-recorded outgoing messages, a ten-number memory, Best Friend key, visual message indicator and an answering machine playback volume control, the Decor 425 also offers full remote access. 12 mins digital recording time.